Hard to believe, but there are only a couple of days left this year! 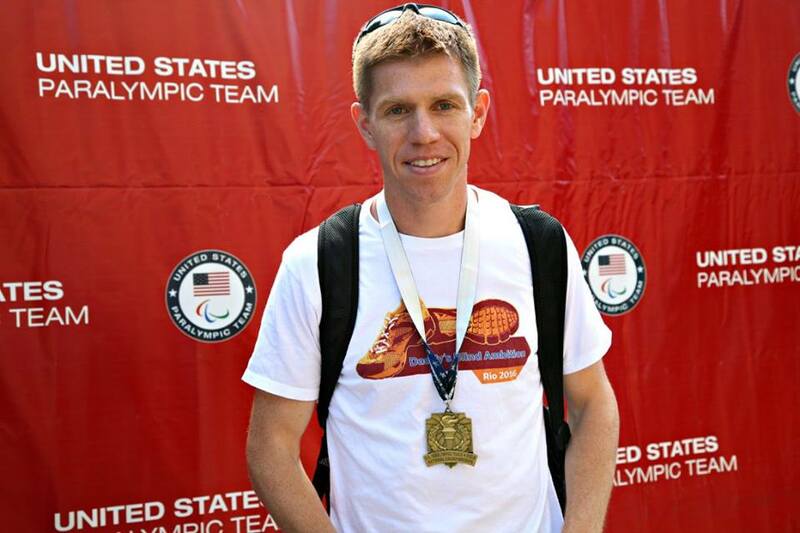 It has been a big year for Matt on his journey to Rio. In March, he competed in a collegiate meet in order qualifying for the 5,000 meters at the U.S. Paralympics Track and Field National Championships. Although we had a setback when the University of Maryland would not allow him to race in their open meet due to liability concerns, he was still able to get a qualifying time in the 1500 meters at another local meet before Nationals. The race director added the event just for him. He won silver and gold in his events in Minneapolis, but unfortunately, he was not invited to represent USA at the PanAmerican Games or Worlds this year. Only one long distance visually impaired athlete was invited to the PanAmerican Games and no long distance visually impaired athletes were invited to Worlds. He was the overall winner of three road races this year. He also set a new personal record for the 5000 at Nationals, beating his last personal record set in college. Not too bad for a guy in his mid-thirties! He’s been dedicating a lot of time to running and we even bought a treadmill to ensure that he can get in all of his miles even when weather and daylight do not permit. He needs to shave more time off his 5000 time, but it doesn’t seem too far out of reach. Gallaudet Invitational, March 2016 - Washington, D.C. The Rio Games are expected to be the largest Paralympic Games to date; approximately 4,500 athletes with physical impairments from more than 165 countries will compete. Fingers crossed Matt will be one of them! I am sure there will be many more blog posts in 2016 as we near the final push for Rio and he'll probably add one or two road races to the list to help get in some competition. I hope you'll join us on this adventure! Talk to you next year!